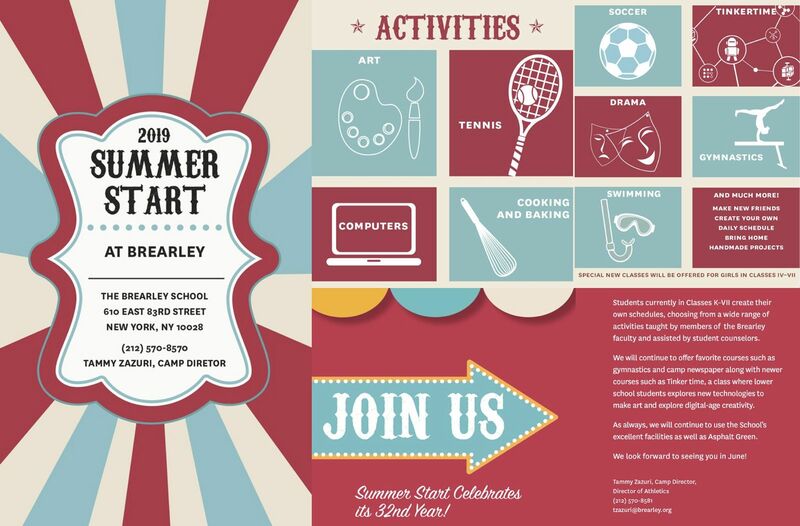 Brearley offers a wide variety of Summer Programs for students of all ages. Summer Start, now celebrating its 32nd year with activities including Tinker Time, Gymnastics, Pep Squad and Camp Newspaper. Summer Interlude is a Two-Week Music Program for instrumentalists and singers. The Complete Poet: This intensive five-day summer course inducts the high-school poet into the poetic tradition and its innovations, the elements of excellent writing, the practice of feedback, and the know-how of publication.